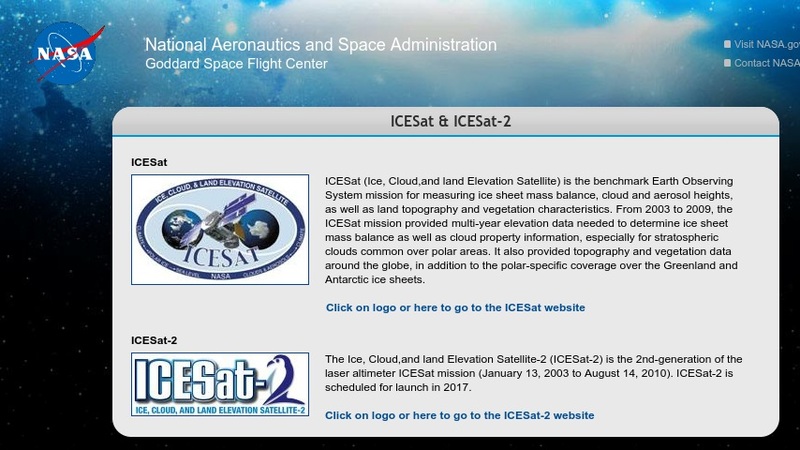 This document discusses the mission of ICESat, the benchmark Earth Observing System satellite intended to measure ice sheet mass balance, cloud and aerosol heights, topography, and vegetative cover. Questions of particular interest to the mission include: is sea level is rising? ; are the Greenland and Antarctic ice sheets growing or shrinking? ; are ice sheets are capable of causing large, rapid changes in sea level? ; and will the ice sheets melt or grow in a warmer climate? Datasets, imagery, and pictures of the launch are included.